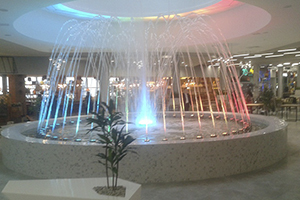 We finished construction of new fountain in city of Kursk. 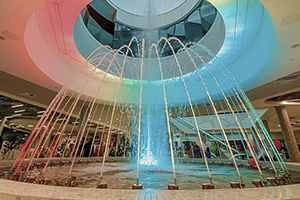 In MEGA Grinn shopping center our engineers completed the construction of the amusement fountain more than 7 meters on diameter. 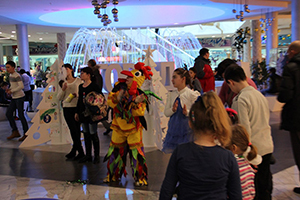 On October, 19, the second line of the shopping center has been put into operation. 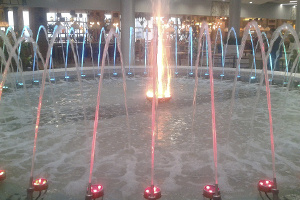 Our fountain became a part of the amusement park now decorating the fourth floor of the shopping center. And will now operate all year round to the delight of kids and adults alike.